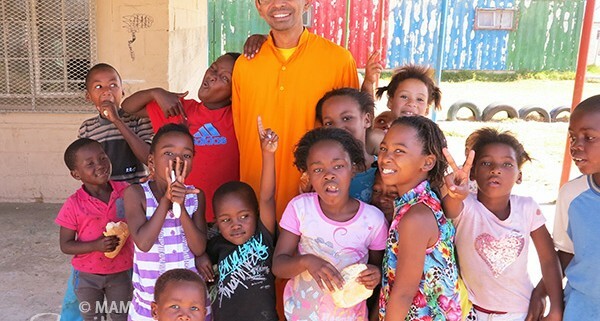 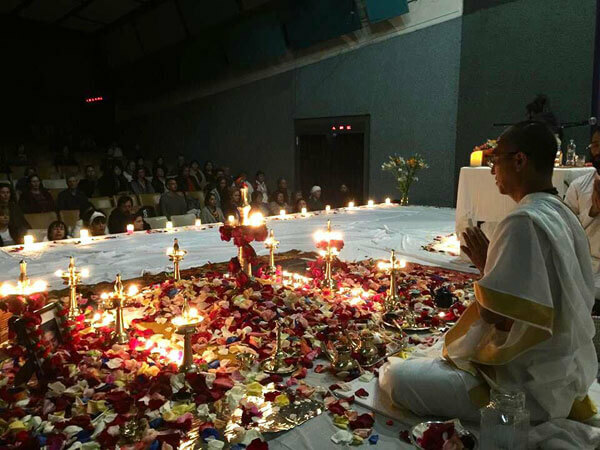 This September, Swami Ramakrishnanada Puri visited South America for the 20th time. 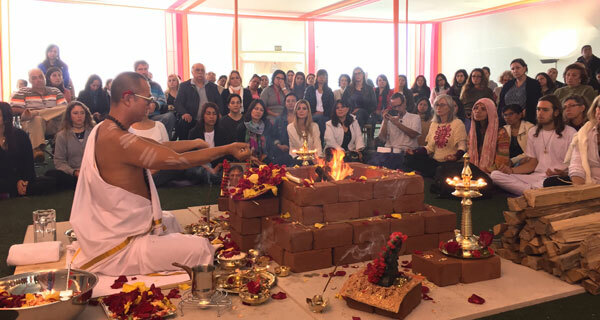 Swami travelled to Peru, Chile and Brazil as part of his tour, spreading Amma’s message of love and compassion everywhere he went. 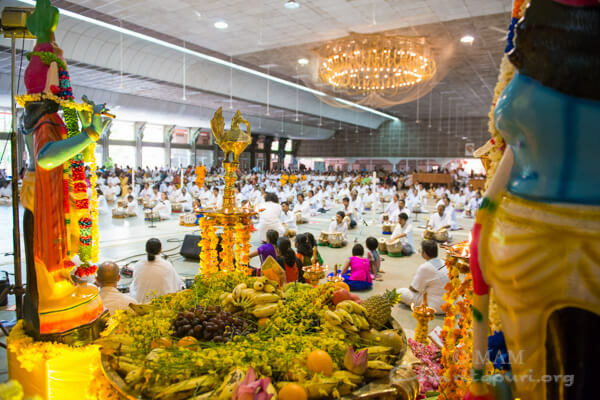 In each city that Swami visited, large crowds filled every hall. 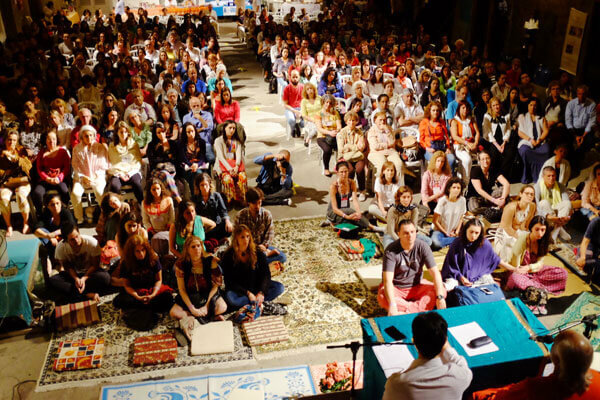 It was incredibly inspiring to see the devotion and enthusiasm of those that attended. 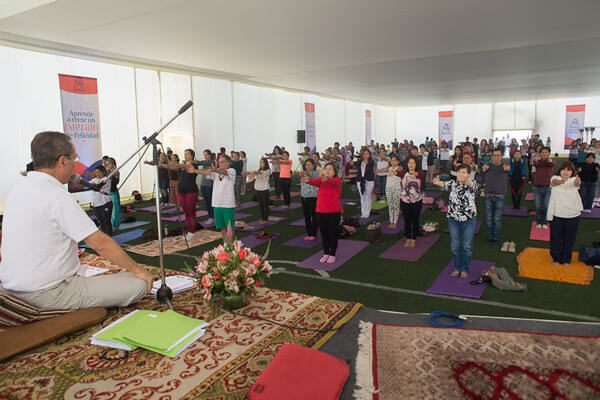 The tour began in Lima, Peru with an Integrated Amrita Meditation (IAM) course. 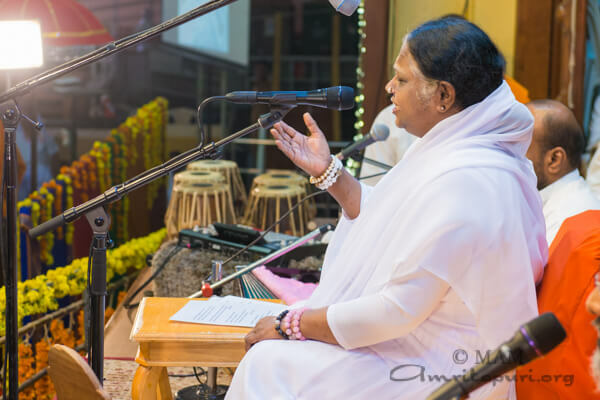 Swami inaugurated the class of over 100 people and reminded them what an incredible gift Amma was offering the world with this technique. 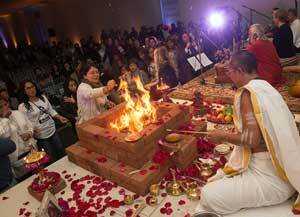 Over the next several hours more than 400 people participated in a Homa, satsang, bhajans and mediation. 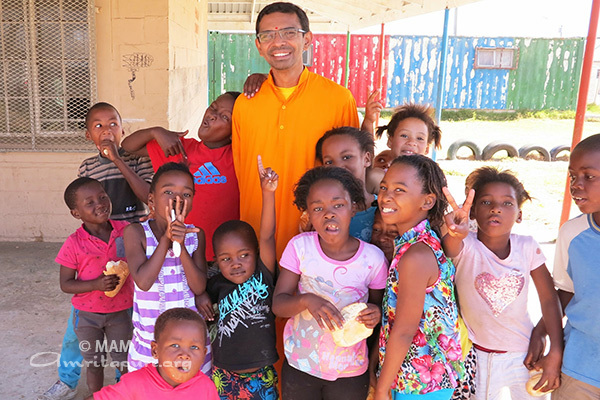 In Brazil Swami visited Sao Paolo and Rio de Janeiro. 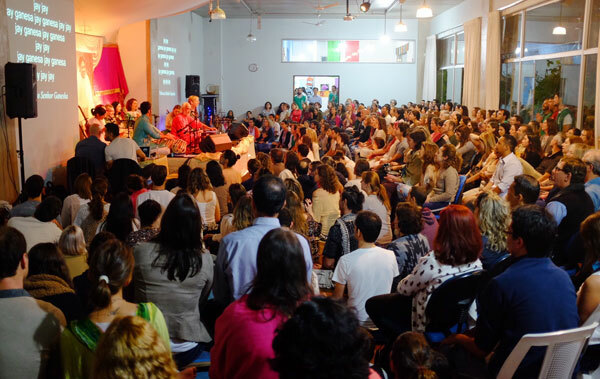 The lively Brazilian spirit was present in all of Swami’s programs where big crowds enthusiastically participated in every part of his program. 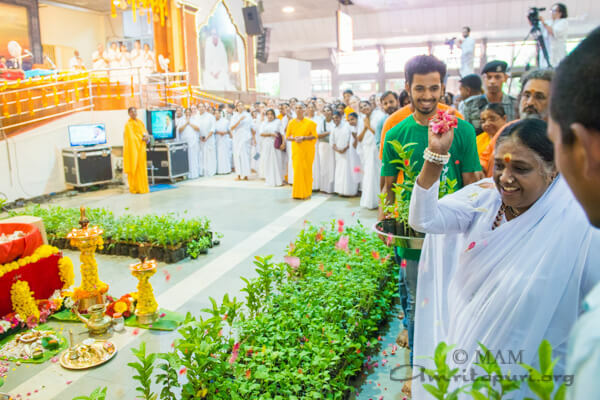 Everywhere Swami went in Brazil, everyone was asking the same question “When is Amma coming back to Brazil?” Of course, only Amma can answer that question, but Swami reminded everyone if they sincerely tune in to Amma she is already here with them. 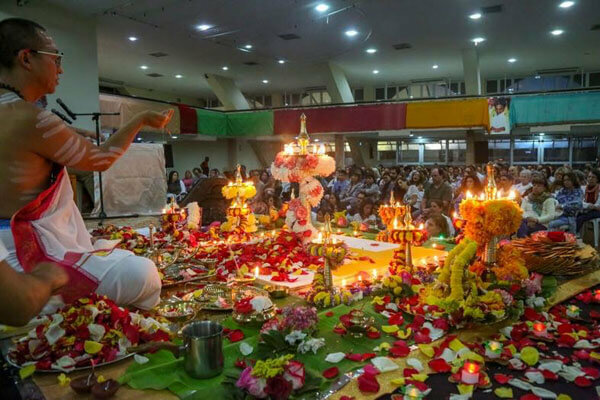 Straight from Amma’s 64th birthday celebrations, Swami Ramakrishnanda Puri travelled halfway around the world to bring Amma’s love to her children in South America. 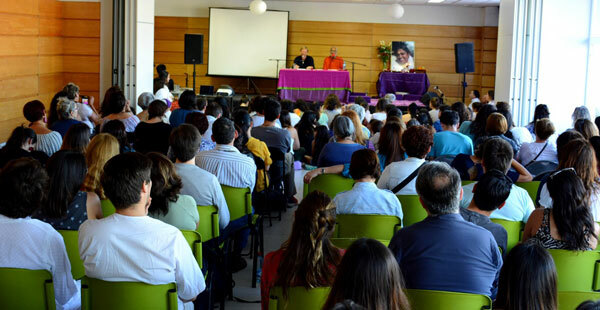 Swami’s tour began in Santiago, Chile, where 10 years earlier Amma made her first visit to South America. 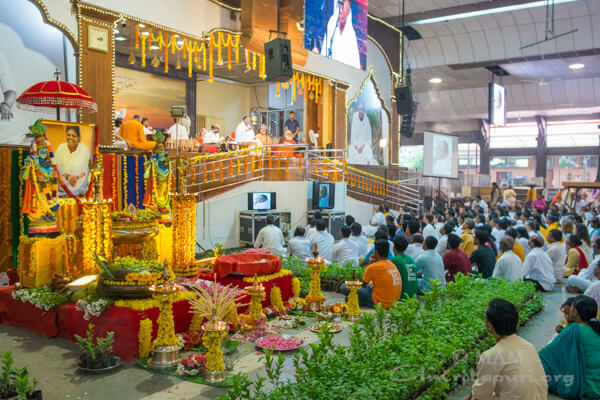 Even though Amma visited only once, more than a decade ago, Swami’s annual visits provide sweet reminders to all those who had the good fortune to have Amma’s darshan when she was in their midst; and for those who have yet to meet Amma, Swami’s programs provided an enlightening and entertaining introduction to Amma’s teachings. 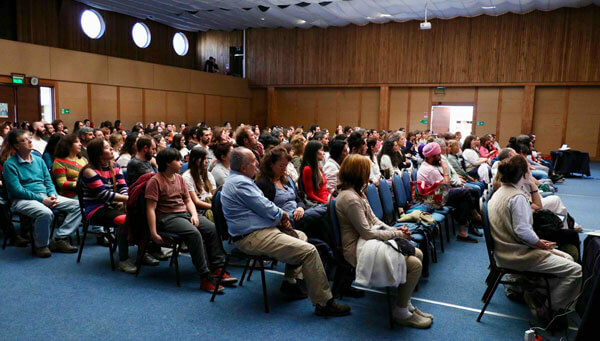 Sharing from his almost 40 years of experience of living alongside Amma, Swami inspired the packed halls both days of his programs in Santiago before moving on to Viña Del Mar, Chile. 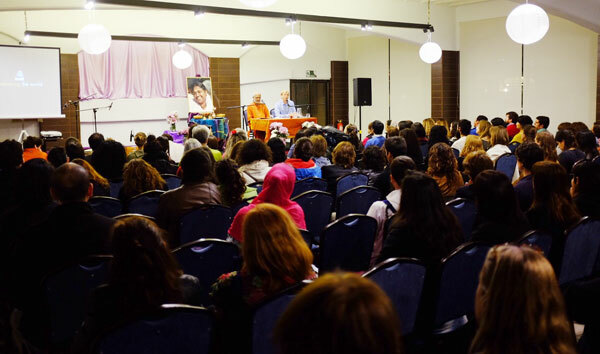 In Viña Del Mar, Swami’s program took place in a movie theater in the center of town. 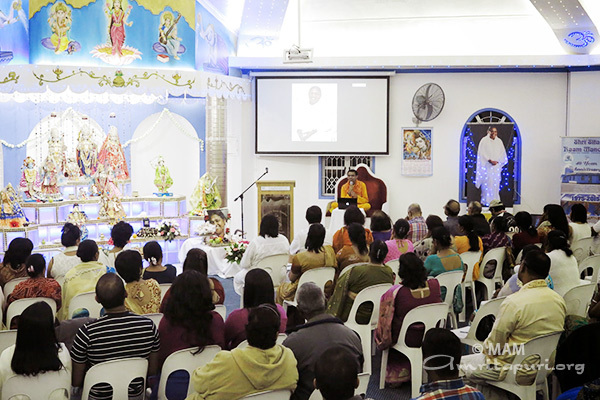 The program began with a full house, most for the first time, watching an introduction film on Amma. 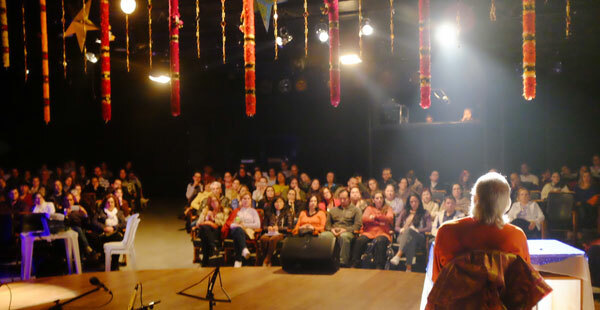 All were transfixed on the big screen, normally used to show images of imaginary heroes, but tonight they were being shown real one. 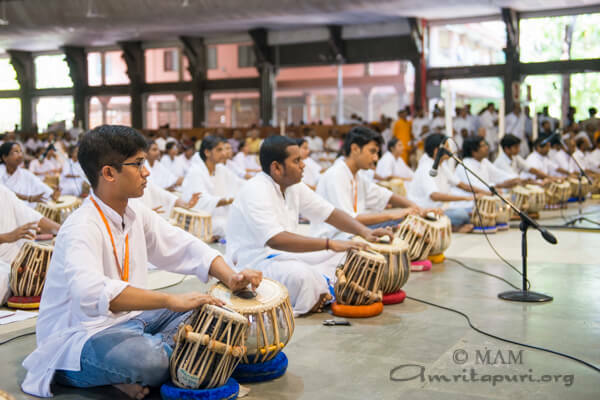 After Swami’s talk the crowd enthusiastically, clapped and sang along to all the bhajans, and ended the program showing their appreciation to Swami with a long ovation. 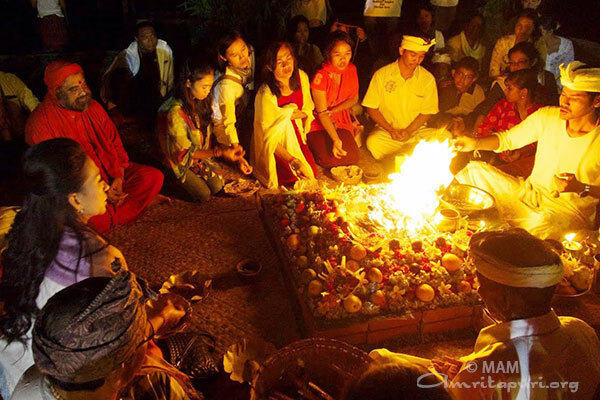 From Chile, Swami travelled on to Lima, Peru, where a Homa was performed during the evening program. 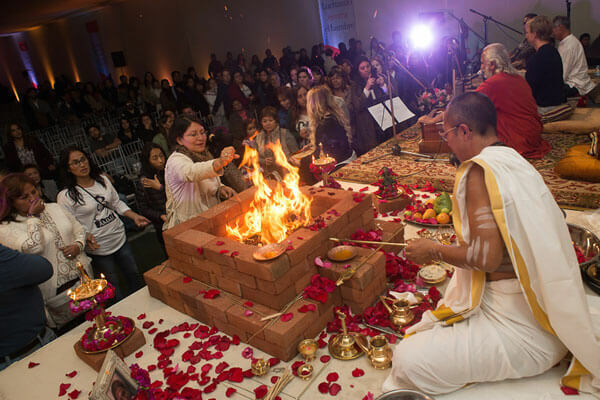 Although most were participating in the ceremony for the first time, the crowd of more than 500 people patiently waited to offer their prayers for peace and prosperity into the sacred fire. 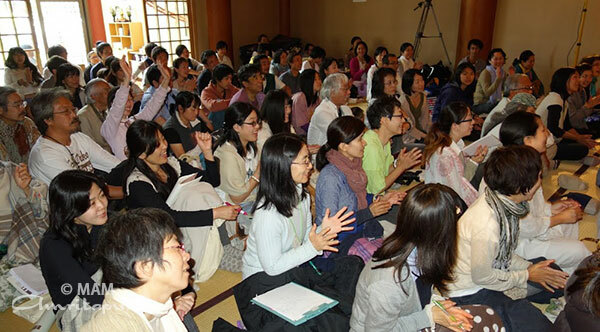 In addition to Swami’s program, an IAM meditation course was held and attended by over 100 people. 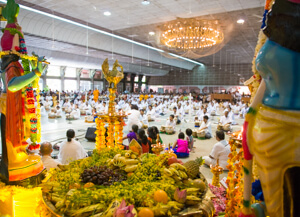 After Peru, Swami concluded his tour in Brazil, where he visited the cities of Rio De Janeiro, Araruama and Sao Paolo. 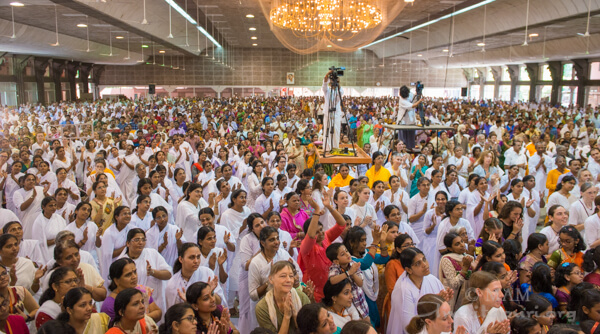 Brazil being the other country Amma has visited, the crowds were large and lively everywhere Swami held programs, with lots of familiar faces. 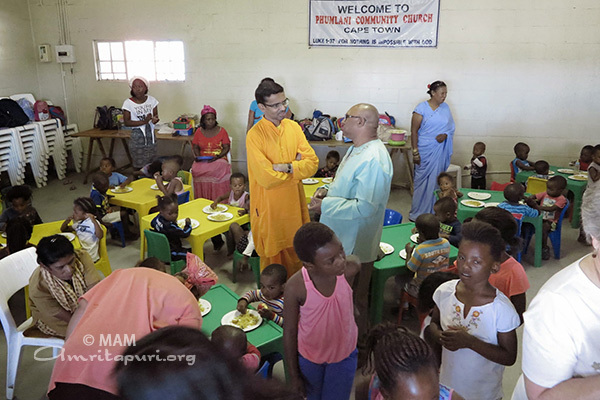 During his talks, Swami humorously highlighted the importance of having the right attitude to accept the circumstances in life we cannot change and to make efforts and strive to change the things we can. 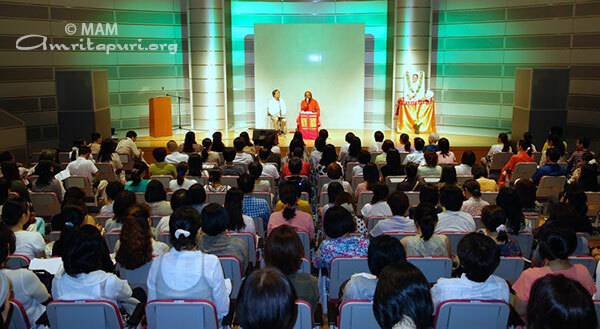 When Swami spoke about the later, collectively there was a single thought shared by everyone in attendance…’what efforts can they make to get Amma to return to their continent?’ Swami concluded his talk by pointing out that through these efforts we can attract grace and through that grace, we can achieve our goals. 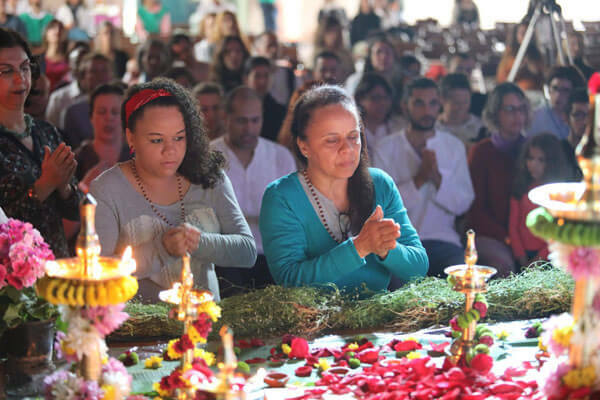 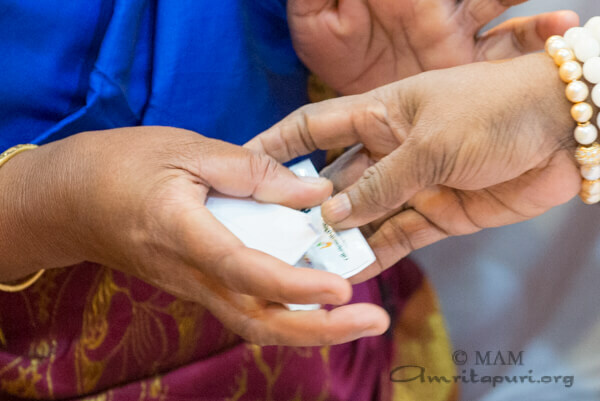 May the goal of all of Amma’s South American children be fulfilled and may she soon return to bless them. 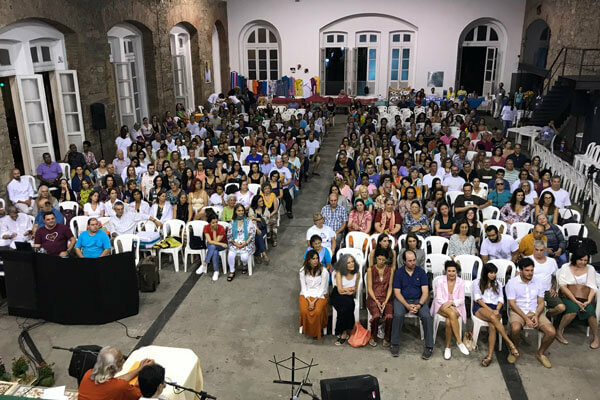 Swami Ramakrishnananda Puri spent the past few weeks touring South America, conducting programs in Peru, Chile, Argentina and Brazil. 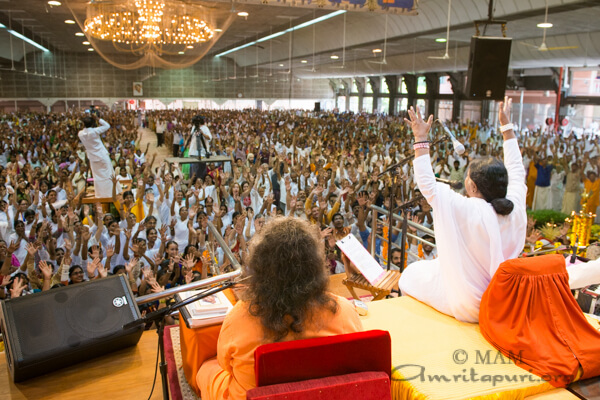 In each city that Swami visited, large crowds filled every hall. 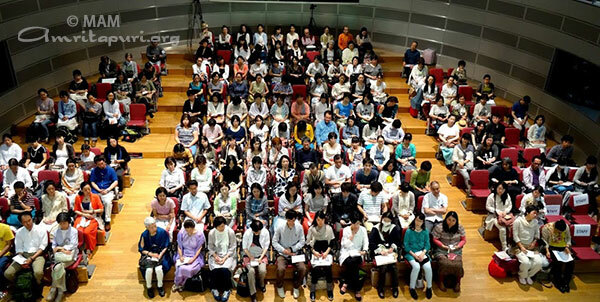 It was incredibly inspiring to see the devotion and enthusiasm of those that attended. 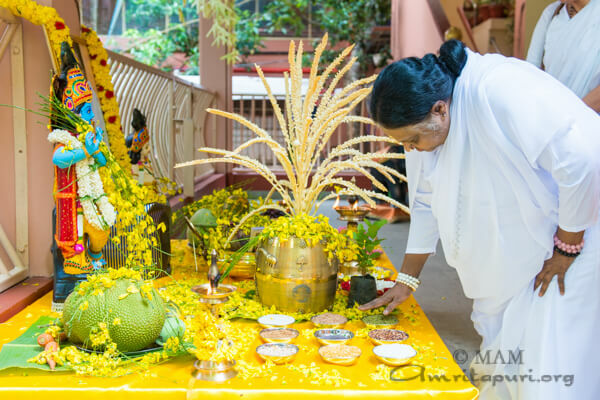 Even though it has been more than 9 years since Amma made her one and only visit to South America. 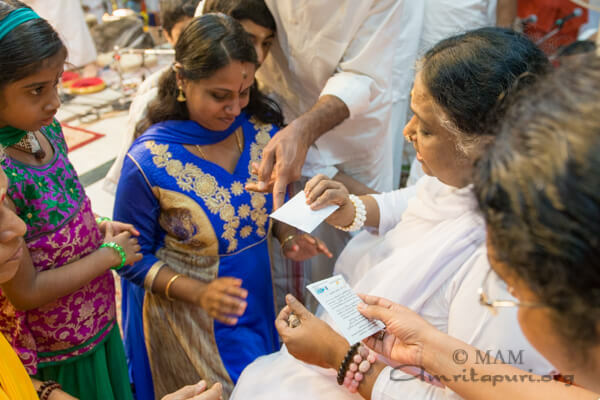 The love of the devotees there made it feel like Amma never left them. 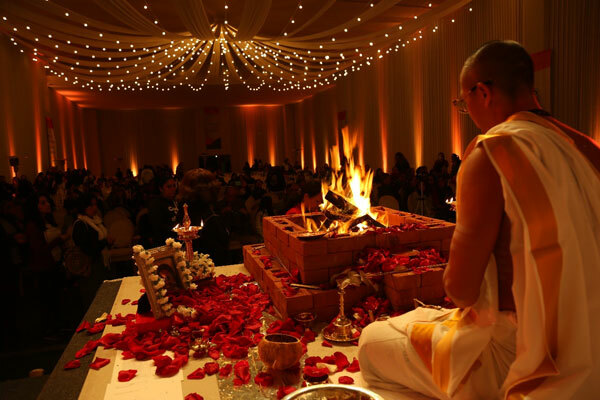 Lima, Peru: Swami was welcomed by the Ambassador of Peru and Bolivia, His Excellency Sandeep Chakravorty. 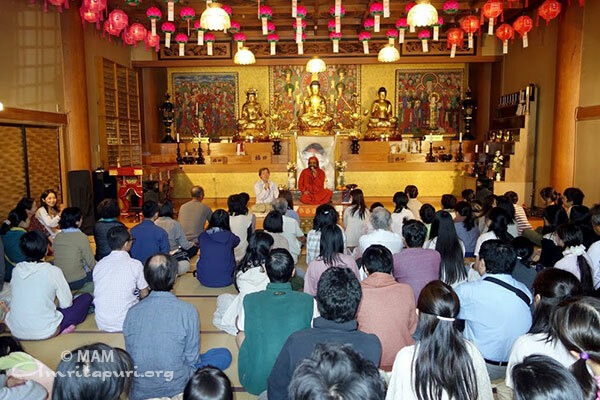 The next three days program included IAM course, the first ever Homa conducted in Lima and Swami’s satsang, bhajans and mediation. 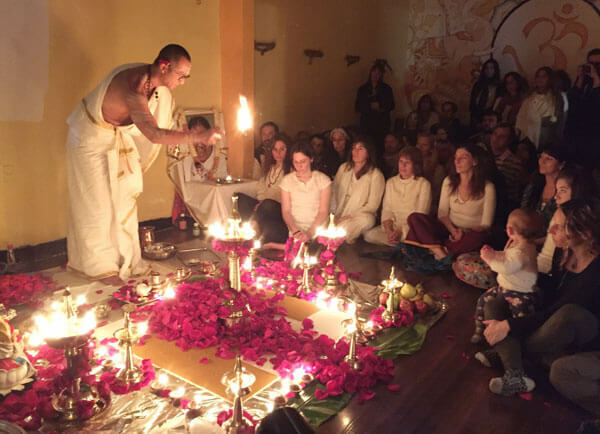 A Puja for world peace and prosperity was conducted in Buenos Aires, Argentina. 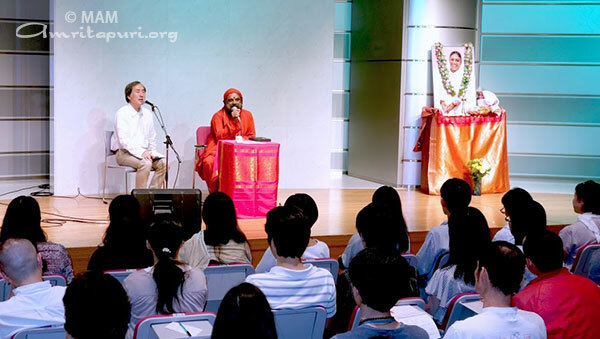 In Brazil Swami visited a total of four cities: Sao Paolo, Curitiba, Araruama and Rio de Janeiro. 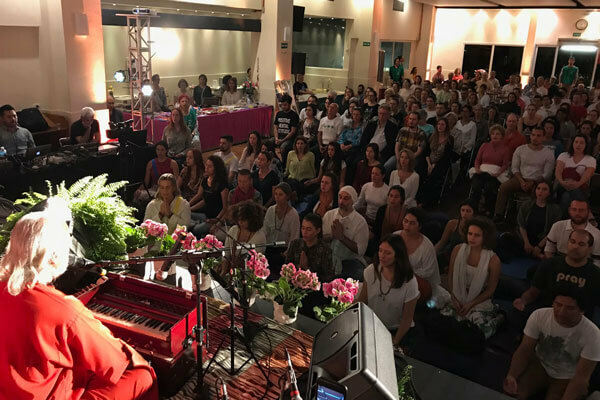 The lively Brazilian spirit was present in all of Swami’s programs where big crowds enthusiastically participated in every part of his program. 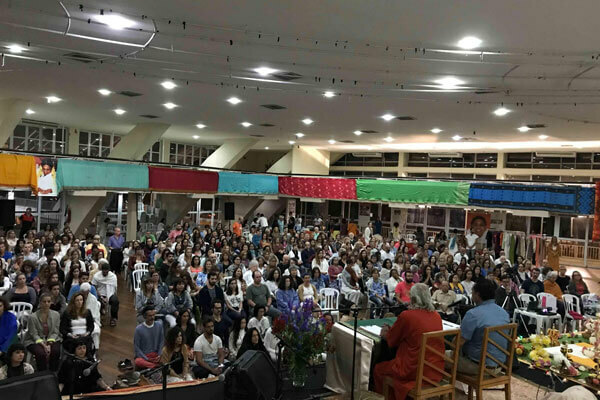 Everywhere Swami went in Brazil, everyone was asking the same question “When is Amma coming back to Brazil?” Of course only Amma can answer that question, but Swami reminded everyone if they sincerely tune in to Amma she is already here with them. 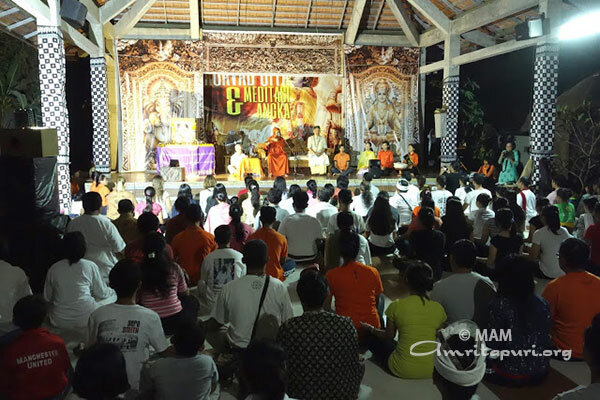 Swami Purnamritananda addressed the Sekaa Teruna Teruni (Young Generation Organization)of Tampaksiring subdistrict in Bali. 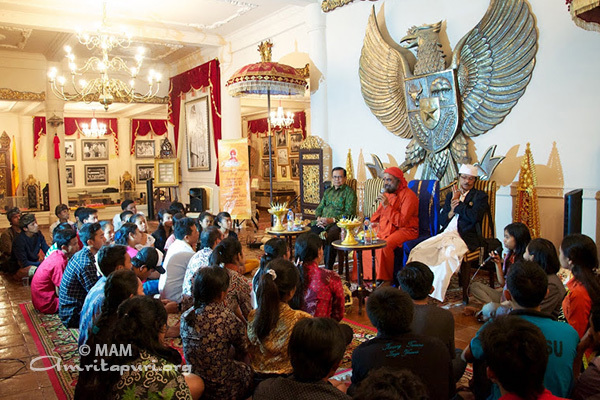 This event was held in The Soekarno Center Museum whic was initiated by Dr. Arya Wedakarna who is the owner of this museuman and an Indonesian senator. 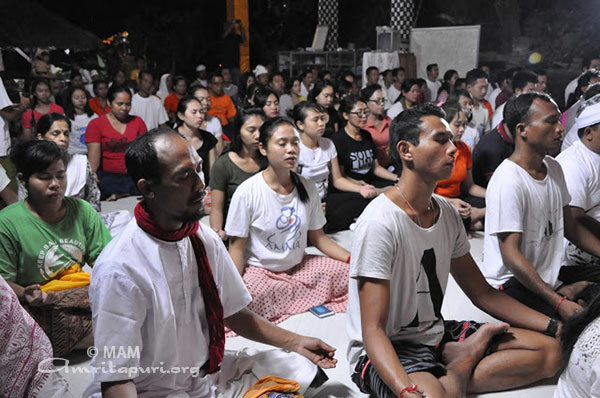 Swami led the group to in a prayer and then into satsang talking about the importance of self-confidence to reach success. 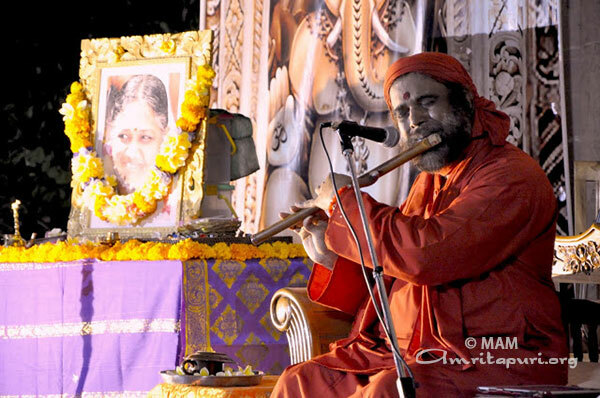 He also conducted a meditation training program with his music of flute. 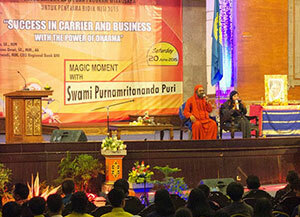 Swami Purnamritananda addressed a business seminar in Udayana University, Bali on the theme “Success in carrier and business with the power of Dharma”. 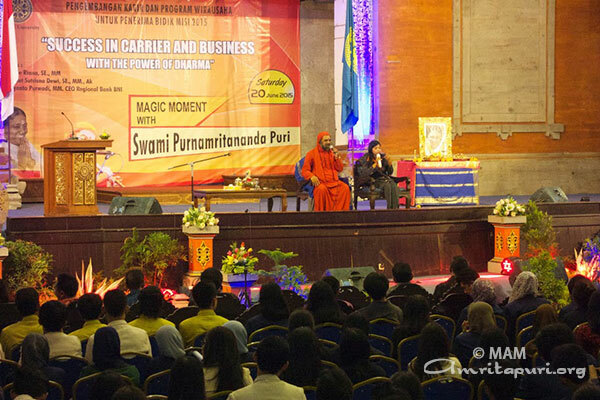 Swami was the keynote speaker of this seminar which was held at Widaysabha Auditorium, Udayana University, Bali. 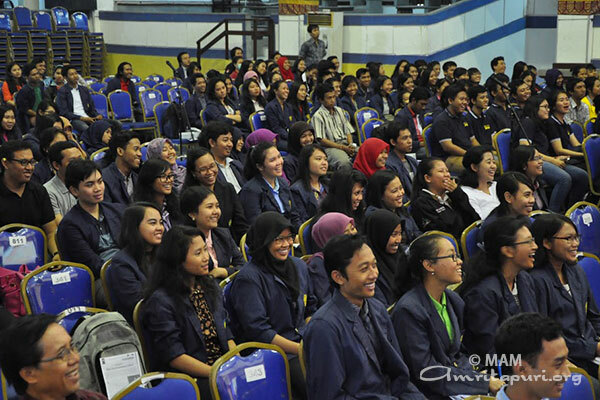 Udayana University is the oldest and biggest university in Bali with the strength of more than 25,000 students. 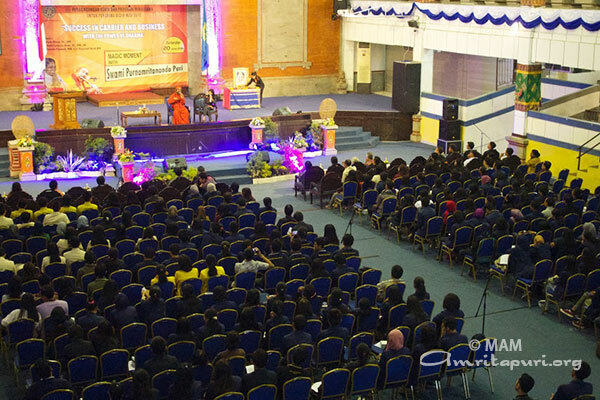 More than 400 people – the students of Udayana University and the members of National Hindu Entrepreneur Network attended the program. 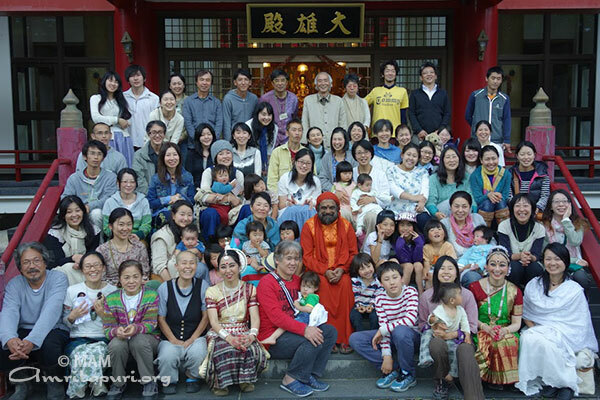 Swami Purnamritananda conducted a 2 days spiritual camp in Nagano and in Tokyo, Japan in the month of June 2015. 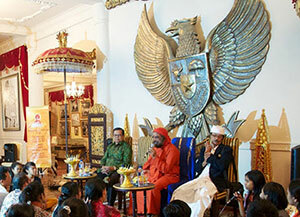 Swami Purnamritananda visited Paramadhama Ashram situated in Sanur, Denpasar, which was built in 2006 by Rasa Acharya Prabhuraja Darmayasa. 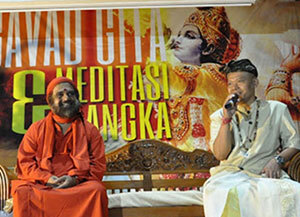 He is a Spiritual Teacher and also has translator of Bhagavad Gita into Bali. 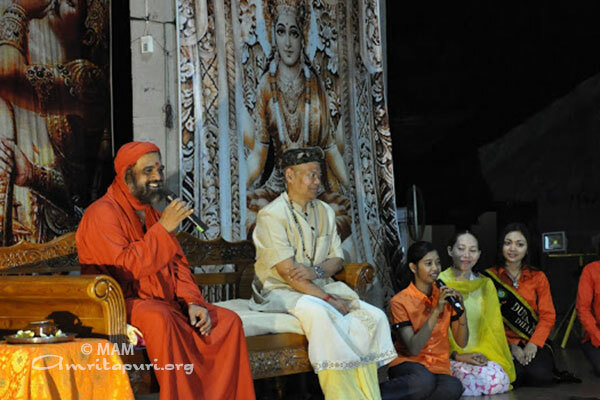 Swami had a discussion with Prabhu Darmayasa. 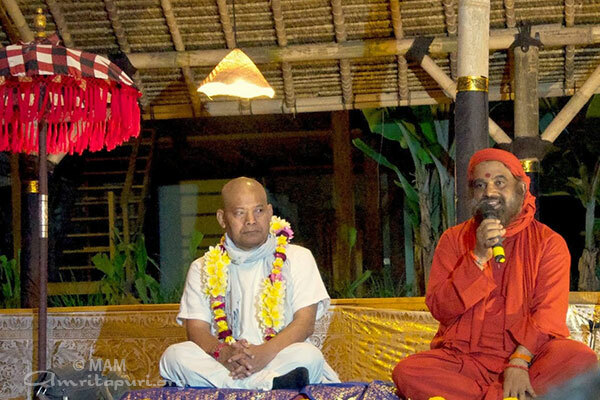 In a small program held there, Prabhu Darmayasa said that he is very grateful for Swamiji’s visit. 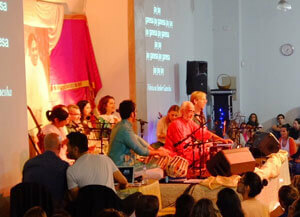 Swami led the group to an opening prayer followed by an interactive talk. 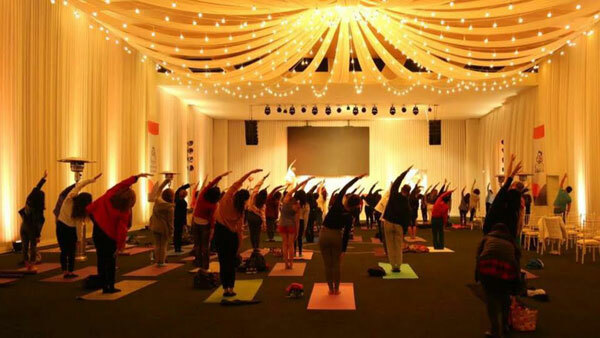 Swamiji’s spoke about Amma’s message of Love, the secret of happiness, and also about the power of yoga and meditation. 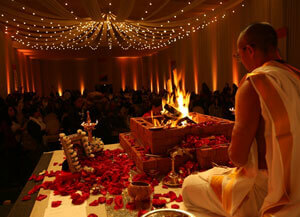 An event was held in the park of Indus Restaurant by Swami Purnamritananda. 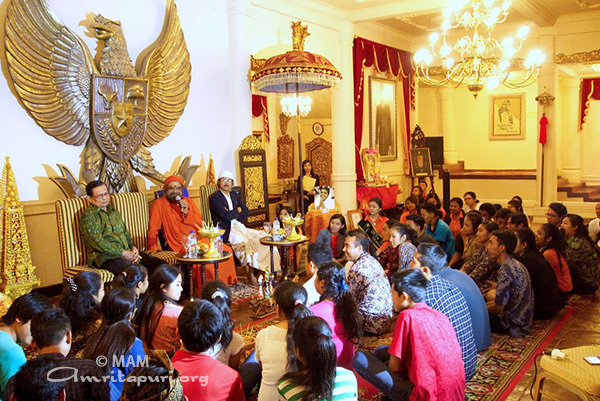 Prabhu Darmayasa and Mr. Ketut Suardana welcomed Swami. 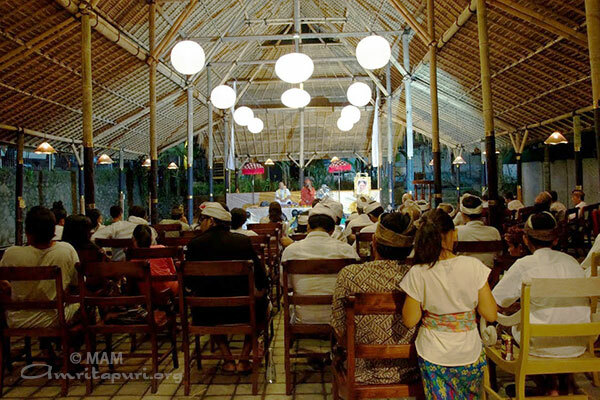 The attendees comprised of mostly Balinese and a small group of foreigners. 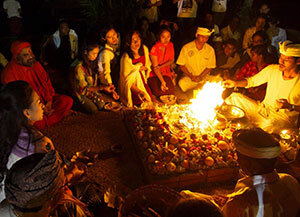 Programme ended with a meditation practice and Agnihotra ritual.